Remember Cleo’s plague jar, the one that Joey found? Now we know why Cleo keeps a jar of Bubonic Plague. 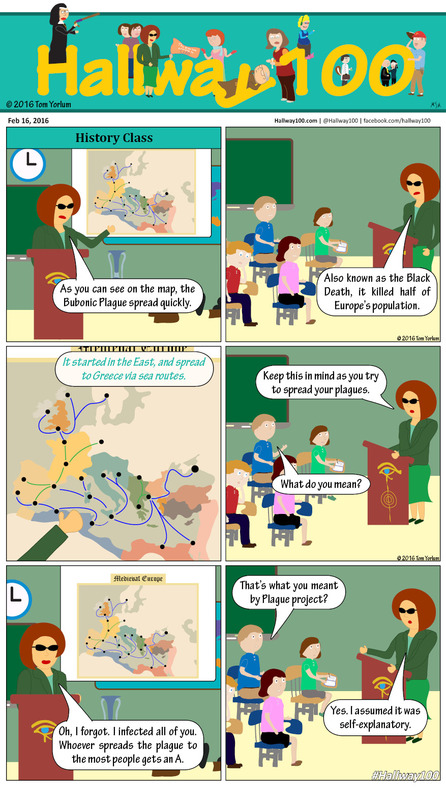 Come back tomorrow to see what happens when the kids plan out ways to disseminate the Black Death. Yeah, this got morbid pretty quick.